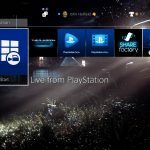 If you were eagerly waiting to update the system software of your PS4 to version 4.50, tomorrow is the day. 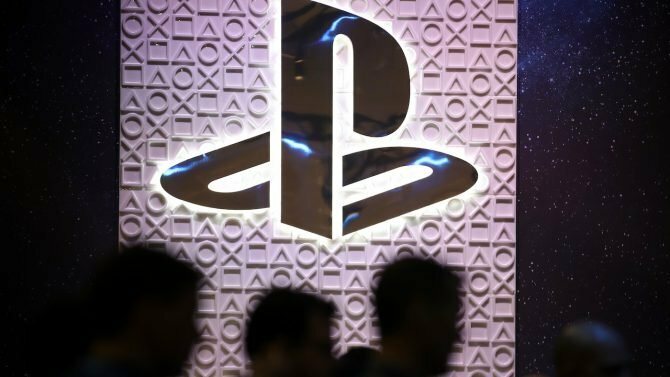 Today Sony Interactive Entertainment announced that PS4 system software update 4.50 code named “Sasuke” will be released tomorrow. 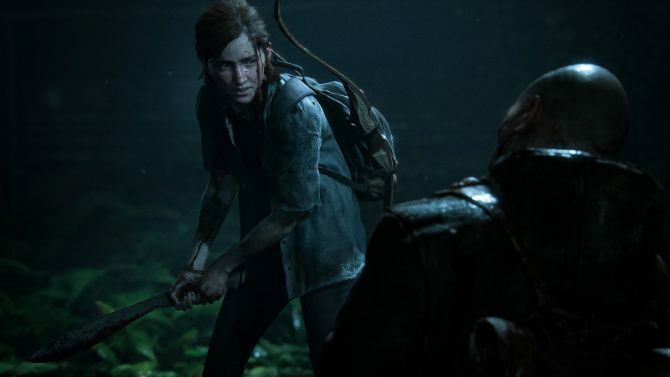 Below you can also check out a rundown of the main features of the game, directly from the PlayStation Blog. 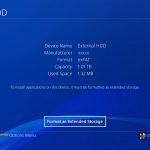 As we previously mentioned, 4.50 allows to download and store PS4 games and apps to an external HDD. Insert your USB 3.0 HDD into your console, and select it from ‘USB Storage Devices’ from ‘Devices’ in Settings to format it so it’s ready to use (note, any previously stored content will be wiped from the HDD). Note: compatible HDDs need to be USB 3.0 or later, between 250GB (min) – 8TB (max). 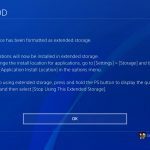 The HDD will now be the default download location as long as it’s plugged in; you can select the PS4’s internal storage instead on the ‘Storage’ section in Settings. 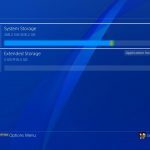 You can easily move your internally-stored games and apps across to the HDD by selecting ‘Applications’ in ‘Storage’, press the ‘Options’ button and select ‘Move to Extended Storage’. 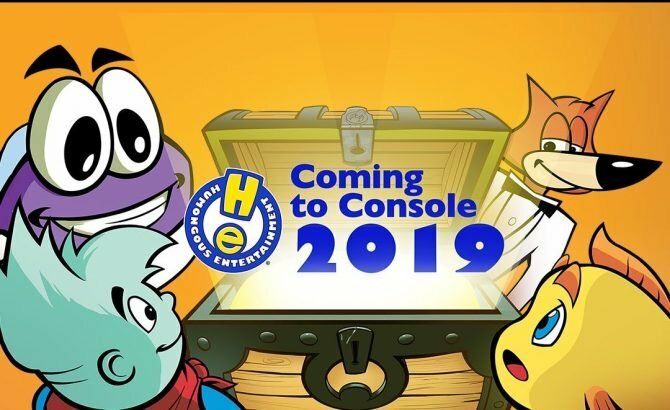 You’ll be able to choose which games and apps you want to move. 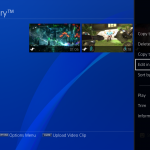 To safely remove the HDD, hold down the PS button on your controller and select ‘Sound/Devices’ and then ‘Stop Using Extended Storage’ from the Quick Menu. There is no guarantee that all USB storage devices are compatible with your system. 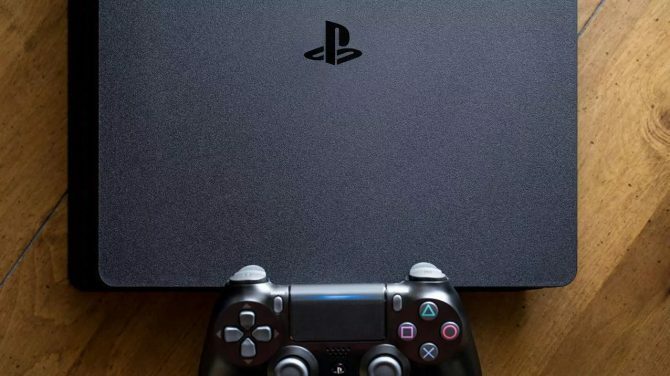 If you’re playing a game in PS VR, and you return to PS4’s home screen, you may notice that the resolution looks lower than normal on the TV ‘Social Screen’. Following this update, you’ll find that the resolution of the system screen displayed on your TV is significantly better when you’re out of VR mode. Also, the resolution of Cinematic Mode on PS VR will improve – if your PS VR screen size is set to Small or Medium, the framerate of content viewed in Cinematic Mode goes up from 90Hz to 120Hz with this update. 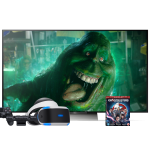 PS VR will now support Blu-ray 3D* discs. You will have the ability to watch them in stereoscopic 3D via your headset. We’re adding voice chat when using Remote Play on Windows PC, Mac or an Xperia device. If you’ve got a gaming session planned with your friends, but you’re away from your system, this update makes it seem like you’re right at home. 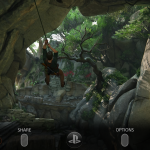 You can switch your mic on and off via the microphone icon on the Tool Bar of the Remote Play app. 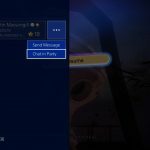 We have a variety of off-console apps and features that make communication with other gamers easier, like the PlayStation App and PS Messages. 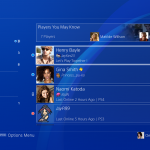 We’re adding an icon, shaped like a smartphone, which indicates a player is logged into PSN but away from their console. 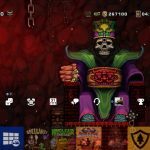 Ready for a much more personal PS4 home screen? Head to Settings, then select Theme. 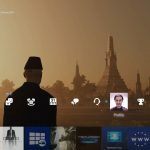 From here, choose ‘Custom’ and select any screenshot and set it as your new PS4 home screen wallpaper. Also there’s a new option to better personalize your Profile page. 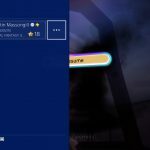 If you’ve selected a custom cover image, your PS4 will generate a choice of supporting colors based on that image to change the page’s background color to. You’ll now have more choice on what you want to include on your Activity Feed, letting you create custom stories with text, screenshots, player and game tags. Find the post tool on What’s New, your Profile or Content Info Screen. In addition, you can now change the privacy settings for individual posts. You can alter who sees your Activities via the same-named tab in the Sharing Your Experience section of Settings, while you can decide the level of privacy for videos, screenshots, broadcasts, PS Store and PS Music when you go to upload them. But worry not, you can also alter who gets to see that content after the post has been shared. 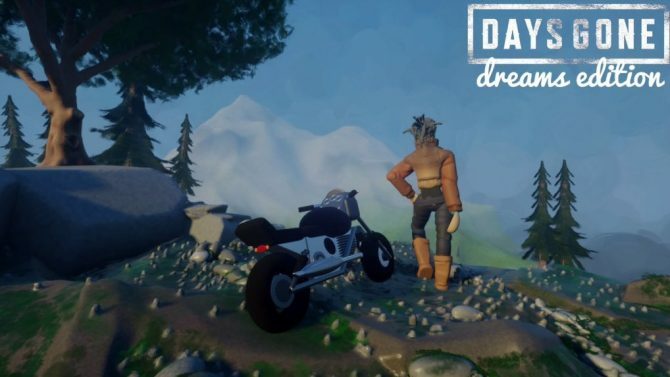 Hover over a game title icon and press the Options button. 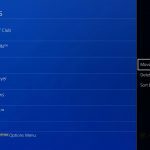 You’ll be given the choice to ‘Upload/Download Saved Data’ from the the PS4’s home screen that let you upload the saved data on your PS4 to PS Plus online storage and download the saved data from PS Plus online storage to your PS4 with ease. Select your chosen screenshot or video in Capture Gallery, and by pressing the Options button you’ll have the choice to go straight into SHAREfactory and start editing. Get the GIF love in 4.50, as you can now share GIFs from SHAREfactory to your Activity Feeds. 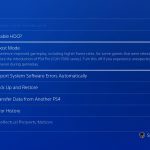 PS4 Pro gets a new feature in this update called Boost Mode. 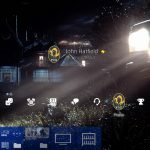 This feature has been designed to provide better performance for legacy titles that have not been patched to take advantage of the PS4 Pro’s faster CPU and its faster and double-sized GPU. 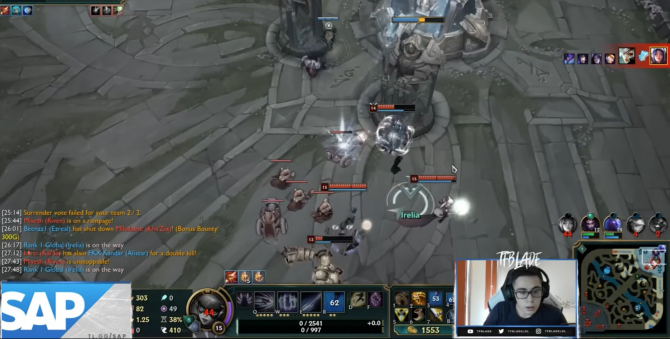 This can provide a noticeable frame rate boost to some games with variable frame rates, and can provide frame rate stability for games that are programmed to run at 30 Hz or 60 Hz. 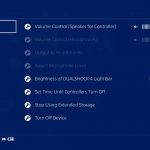 You can turn on the Boost Mode from the PS4’s Settings menu. Go to ‘Settings’, then ‘System’, then scroll down to ‘Boost Mode’ and tick the box to turn Boost Mode on. We’re also updating the PS Messages (for Android and iOS) and Communities apps (FOR Android and iOS) tomorrow with a few handy features. 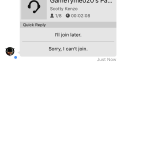 When you receive a Party invitation from your friends on PS Messages, now you can respond with a quick reply, “I’ll join later” or “Sorry, I can’t join,” when you want to get back to them asap. Below you can enjoy a trailer showcasing the new features, and a batch of new screenshots. Of course, we’ll let you know when the update will be available for download as soon as it hits tomorrow.